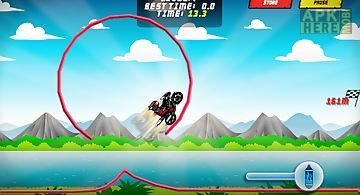 Motocross racing game game for android description: motocross racing gametake to the track and race as far as you can! Reach checkpoints to extend your time. 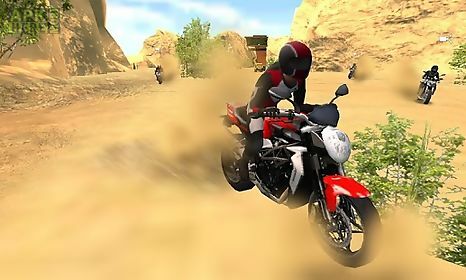 Motocross dirty bike is the fun and exciting open world adventure motorbike racing simulator game that you have been waiting for. 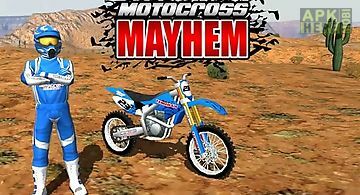 Start your engine and to the dirt track and race your rivlas over stunt jumps to experience the thrill and excitement of a motocross rider in this motocross bike simulation. 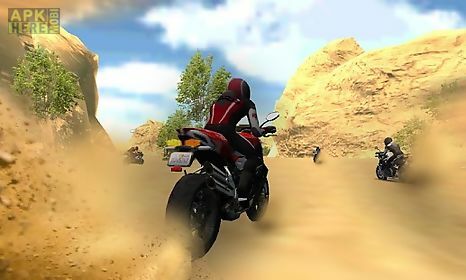 Exquisite graphics real special effects and terrific physics motocross dirty bike brings you a realistic and thorough bike racing experience. 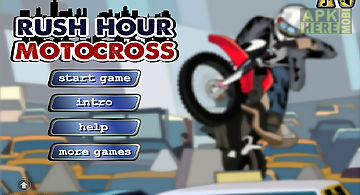 Features: 1) smooth and easy game controls2) cool music and turbo sound effects3) challenge yourself4) different steampunk bikes to choose from5) 5 different themes to explore6) beautiful scenery and smooth physics simulationif you like to go to extreme speeds and pull off awesome stunts whilst having a fun and exciting time then you will love to play motocross dirty bike! 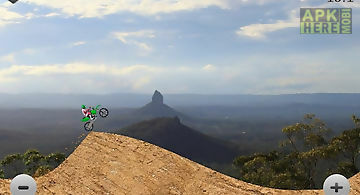 Tilt your device to lean your motocross and touch the boost button to go faster. 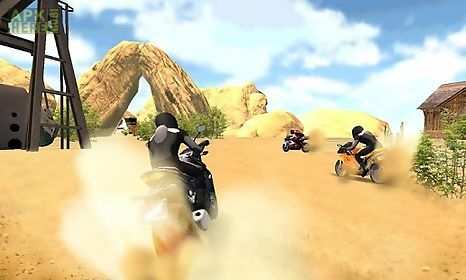 Play the best motocross nitro racing game with this application now!! 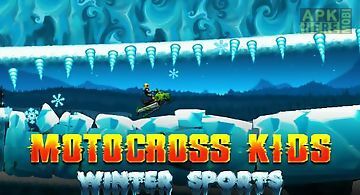 Winter kids racing game that is fun to play for everyone! Pick a snowmobile snow motorcycle or any other ride and enjoy the fun adventure through the land ..
Ride a motorcycle or a snowmobile. Do different tricks. 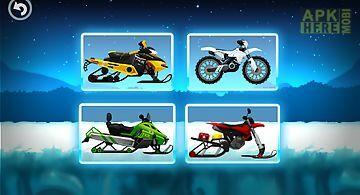 Get ready for exciting races along winter tracks of this game for android. Keep your snowmobile for..
Do you know how to jump massive and get big air on a motobike? 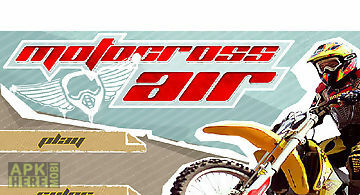 Then play motocross air another stunning extreme sports racing game. So start your engines s..
Its rush hour. Dont spend hours in this traffic jam. 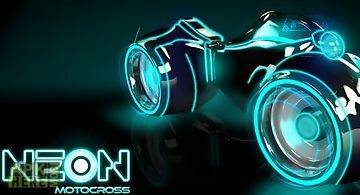 Drive full throttle over the other vehicles but dont be caught by the e wasd or arrow keys to ride q o..
Ride around on bright neon motorcycle jump over the hills and perform different tricks. 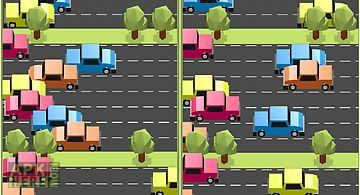 Game features: 240 levels8 different scenariosaccelerationover 12 d..
Traffic game: no pedestrian shall cross the highway when there are no signal lights. Except this little guy. 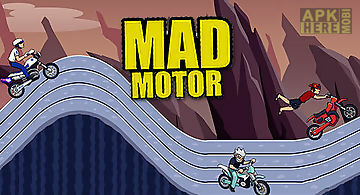 Help the robot to reach the other side of the ..
there are many racing games in the market which are fast furious. But very few of them are addictive. 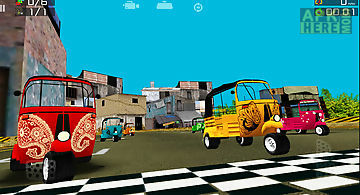 Rickshaw racing game is one such fast furious as wel.. 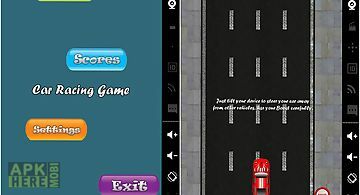 This is the best car racing game that you can play at any time anywhere you will really enjoy the competition by driving your suvs car youll have many diff..